A young girl in Turkana County, Kenya, rejoices at the maize and USAID-provided vegetable oil available for her family through World Vision’s Food for Assets program. 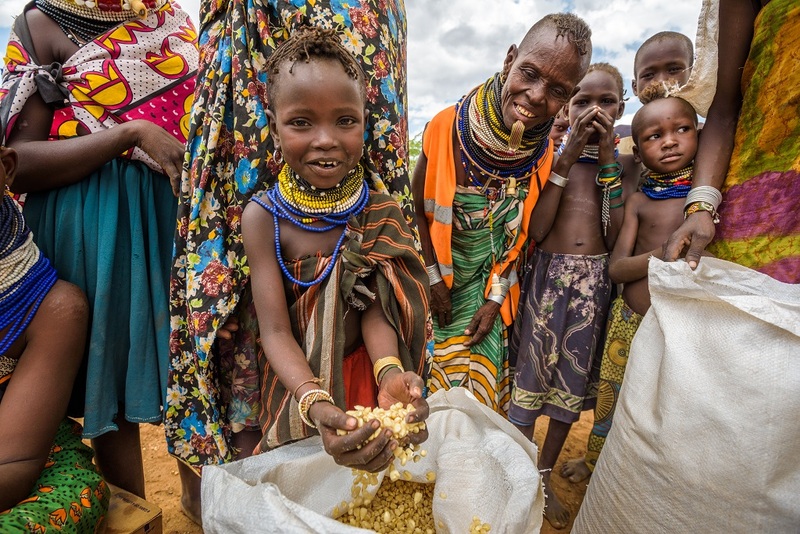 The program provides needed emergency food assistance for vulnerable families in Turkana County, while also helping the rural community sustainably increase agriculture productivity. There has been very little rain in Turkana, with drought cycles becoming more frequent. After witnessing devastating famine conditions in 2017, can we still hope for a world without hunger? We dare to think so. On our next Advocacy Conference Call, hear firsthand from World Vision experts about why we have faith that we can end hunger in our lifetime, plus how you can play a part. 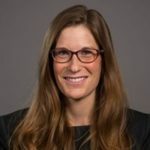 An introduction to food security, why it’s important, and examples of progress from the past 25 years. Insight into how partnership with the U.S. government allows World Vision to multiply its impact and reach more hungry kids around the world – and to help create a world where less children become hungry. Discovery of why this is an exciting year for food assistance legislation in Congress – and how there are simple ways you can make an impact! Advancement of advocacy skills for those who are ready and insight into what future advocacy can look like for those who are new. Time to pray together for our advocacy, our government, and for continued hope for a world without hunger. An informal gathering of World Vision donors and advocates to listen and learn together. You can submit questions using the chat box online! We hope you can join us on Tuesday, February 13 at 12:00 pm PT / 3:00 pm ET! Thomas has over fifteen years of experience in emergency food response and helping rural and urban communities develop resilience to potential natural disasters and adverse weather events. 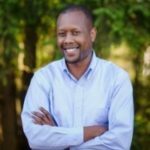 Now based in the D.C. area with his family, the majority of his time has been spent in Kenya and Burundi, managing food assistance programs and grant acquisition for World Vision. Thomas has been a member of the East Africa Regional Disaster Management Team, on the frontlines for providing necessities during emergencies, and currently coordinates design workshops with technical experts in food security and improved livelihoods, develops proposals, and scopes out new grant opportunities for World Vision U.S.
Beth Ann focuses on global food security issues in both humanitarian response and development contexts. This work has taken her to Zimbabwe, Uganda, Kenya, and Haiti to see food security programming at work. Before joining World Vision, Beth Ann led on agricultural development and nutrition issues at Bread for the World. She began her career on Capitol Hill working for two senior members of Congress handling appropriations and foreign affairs issues. Beth Ann is currently pursuing a Masters of Business Administration at Georgetown University. Would you like a text reminder on the day of the call? hello my team,blessings is individually but God is for us all,when you have chance to assist remember anyone has aright to eat and live like you.though giving out is painful let’s practice, for those who has managed to offer or donate and even prayer God shall add you more.the needy are multiplying wheel those with willing heart are about to be tied. my God bless world vision and it’s management .lets all be parts and parcel of the organization. be blessed. as world vision has done a lot in Kenya, it’s been important to know as you prepare to eradicate hunger in the world same part of Kenya is waiting for planting season so if possible, farmer need financial empowerment to enable them cater for production cost.For those who will benefit with the seed capital they can be encouraged to give at least thirty percent of the yield, like maize and beans. This would be taken to unproductive areas like Turkana let people be given fishing net in stand of fish and train them to donates to themselves. I hope Congress day shall bear friuts. thanks .am trained by Kenya maize development will help of other like jika, USAID, and farming systems Kenya, as a trainer on farming as a family business technology. your Paul njamba karanja of Nakuru Kenya. thanks we wait day 13 of feb2018.